For my own thoughts on the first announcement that the world’s largest food chain would support small, local and sustainable farmers, see my blog post from October 2010. 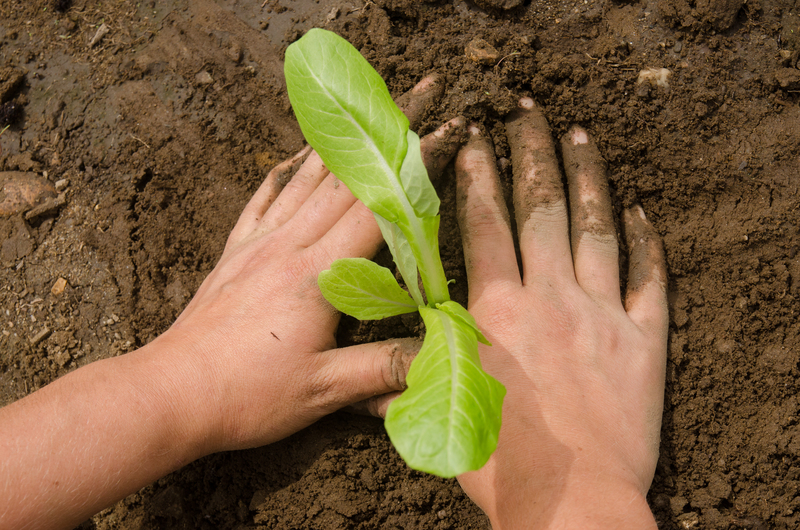 This article was published in partnership with the Institute for Local Self-Reliance . When Michelle Obama visited a Walmart in Springfield, Missouri, a few weeks ago to praise the company’s efforts to sell healthier food, she did not say why she chose a store in Springfield of all cities. But, in ways that Obama surely did not intend, it was a fitting choice. This Midwestern city provides a chilling look at where Walmart wants to take our food system. Springfield is one of nearly 40 metro areas where Walmart now captures about half or more of consumer spending on groceries, according to Metro Market Studies. Springfield area residents spend just over $1 billion on groceries each year, and one of every two of those dollars flows into a Walmart cash register. The chain has 20 stores in the area and shows no signs of slowing its growth. Its latest proposal, a store just south of the city’s downtown, has provoked widespread protest. Opponents say Walmart already has an overbearing presence in the region and argue that this new store would undermine nearby grocery stores, including a 63-year-old family-owned business which still provides delivery for its elderly customers. 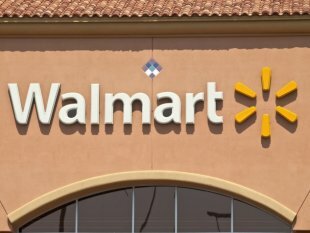 A few days before the First Lady’s visit, the City Council voted 5-4 to approve what will be Walmart’s 21st store in the community. As Springfield goes, so goes the rest of the country, if Walmart has its way. Nationally, the retailer’s share of the grocery market now stands at 25 percent. That’s up from 4 percent just 16 years ago. Walmart’s tightening grip on the food system is unprecedented in U.S. history. Even A&P — often referred to as the Walmart of its day — accounted for only about 12 percent of grocery sales at its height in the 1940s. Its market share was kept in check in part by the federal government, which won an antitrust case against A&P in 1946. The contrast to today’s casual acceptance of Walmart’s market power could not be more stark. Having gained more say over our food supply than Monsanto, Kraft, or Tyson, Walmart has been working overtime to present itself as a benevolent king. It has upped its donations to food pantries, reduced sodium and sugars in some of its store-brand products, and recast its relentless expansion as a solution to “food deserts.” In 2011, it pledged  to build 275-300 stores “in or near” low-income communities lacking grocery stores. The Springfield store Obama visited is one of 86 such stores Walmart has since opened. Situated half a mile from the southwestern corner of a census tract  identified as underserved by the USDA, the store qualifies as “near” a food desert. Other grocery stores are likewise perched on the edge of this tract. Although Walmart has made food deserts the vanguard of its PR strategy in urban areas, most of the stores the chain has built or proposed in cities like Chicago and Washington D.C. are in fact just blocks from established supermarkets, many unionized or locally owned. As it pushes into cities, Walmart’s primary aim is not to fill gaps but to grab market share. The real effect of Walmart’s takeover of our food system has been to intensify the rural and urban poverty that drives unhealthy food choices. Poverty has a strong negative effect on diet, regardless of whether there is a grocery store in the neighborhood or not, a major 15-year study  published in 2011 in the Archives of Internal Medicine found. Access to fresh food cannot change the bottom-line reality that cheap, calorie-dense processed foods and fast food are financially logical choices for far too many American households. And their numbers are growing right alongside Walmart. Like Midas in reverse, Walmart extracts wealth and pushes down incomes in every community it touches, from the rural areas that produce food for its shelves to the neighborhoods that host its stores. Walmart has made it harder for farmers and food workers to earn a living. Its rapid rise as a grocer triggered a wave of mergers among food companies, which, by combining forces, hoped to become big enough to supply Walmart without getting crushed in the process. Today, food processing is more concentrated than ever. Four meatpackers slaughter 85 percent of the nation’s beef. One dairy company handles 40 percent of our milk, including 70 percent of the milk produced in New England. With fewer buyers, farmers are struggling to get a fair price. Between 1995 and 2009, farmers saw their share of each consumer dollar spent on beef fall from 59 to 42 cents . Their cut of the consumer milk dollar likewise fell from 44 to 36 cents. For pork, it fell from 45 to 25 cents and, for apples, from 29 to 19 cents. Onto this grim reality, Walmart has grafted a much-publicized initiative to sell more locally grown fruits and vegetables. Clambering aboard the “buy local” trend undoubtedly helps Walmart’s marketing, but, as Missouri-based National Public Radio journalist Abbie Fentress Swanson reported  in February, “there’s little evidence of small farmers benefiting, at least in the Midwest.” Walmart, which defines “local” as grown in the same state, has increased its sales of local produce mainly by relying on large industrial growers. Small farmers, meanwhile, have fewer opportunities to reach consumers, as independent grocers and smaller chains shrink and disappear. Food production workers are being squeezed too. The average slaughterhouse wage has fallen 9 percent since 1999. Forced unpaid labor at food processing plants is on the rise. Last year, a Louisiana seafood plant that supplies Walmart was convicted of forcing employees to work in unsafe conditions for less than minimum wage. Some workers reported peeling and boiling crawfish in shifts that spanned 24 hours. The tragic irony is that many food-producing regions, with their local economies dismantled and poverty on the rise, are now themselves lacking grocery stores. The USDA has designated large swaths of the farm belt , including many agricultural areas near Springfield, as food deserts. One might imagine that squeezing farmers and food workers would yield lower prices for consumers. But that hasn’t been the case. Grocery prices have been rising. There are multiple reasons for this, but corporate concentration is at least partly to blame. For most foods, the spread between what consumers pay and how much farmers receive has been widening. Food processors and big retailers are pocketing the difference. Even as Walmart touts lower prices than its competitors, the company’s reorganization of our food system has had the effect of raising grocery prices overall. As Walmart stores multiply, fewer families can afford to eat well. The company claims it stores bring economic development and employment, but the empirical evidence indicates otherwise. A study  published in 2008 in the Journal of Urban Economics examined about 3,000 Walmart store openings nationally and found that each store caused a net decline of about 150 jobs (as competing retailers downsized and closed) and lowered total wages paid to retail workers. Other research  by the economic consulting firm Civic Economics has found that, when locally owned businesses are replaced by big-box stores, dollars that once circulated in the community, supporting other businesses and jobs, instead leak out. These shifts may explain the findings of another study , published in Social Science Quarterly in 2006, which cut straight to the bottom line: neighborhoods where Walmart opens end up with higher poverty rates and more food-stamp usage than places where the retailer does not expand. This year, Walmart plans to open between 220 and 240 stores in the U.S., as it marches steadily on in its quest to further control the grocery market. Policymakers at every level, from city councilors to federal antitrust regulators, should be standing in its way. Very few are. Growing numbers of people, though, are drawing the line, from the Walmart employees who have led a string of remarkable strikes against the company, to the coalition of small business, labor, and community groups that recently forced Walmart to step back  from its plans to unroll stores across New York City. Back in Springfield, as Michelle Obama was delivering her remarks, framed by a seductive backdrop of oranges and lemons, a citizens group called Stand Up to Walmart  was also at work, launching a referendum drive to overturn the City Council’s vote and block Walmart from gaining any more ground in the city.